Were the Knicks being tone-deaf, funny, or neither? 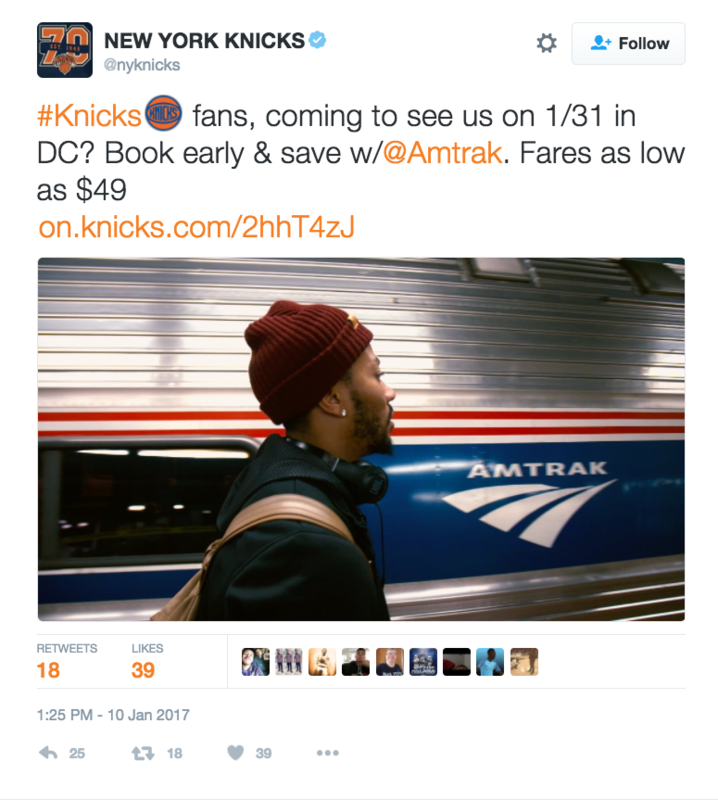 As the Knicks dealt with guard Derrick Rose going AWOL on Tuesday, the team’s Twitter account ironically sent out an advertisement with Rose boarding an Amtrak train to advertise for the railroad service. It came mere minutes before the team announced that he had been fined, adding to the intrigue. It was either a scheduled tweet that happened to publish at the wrong moment, or a one of the most perfectly-timed advertisements in recent memory. They later deleted the post. It was a lot for fans to handle. Rose had traveled back to Chicago to deal with what was reported to be a “family situation.” No word if he took an Amtrak there.